John Thompson, Hampshire, UK - John Thompson is the founder of Environmental Treatment Concepts, Ltd., and spent more than 20 years developing non-chemical water treatment solutions, with a specific focus on the use of electronic water technology. Stephen J. Hopkins, Indianapolis, USA - Stephen J. Hopkins is co-author of Crafting Solutions for Troubled Businesses (Beard 2006) and has provided executive assistance to 150 public and private companies in navigating acquisitions, divestitures, complex operational and debt restructurings and international challenges. Thomas Cripe, Seattle, USA - Thomas Cripe brings 25 years of operational and technical experience in new technology commercialization, project management and international sales, with a focus on Asia and the Middle East and an emphasis on sustainable management of energy, forestry and water resources. These individuals bring a wealth of expertise in diverse areas and will be key to helping us move forward and develop new opportunities in water technology, said Erik Hromadka, chairman and CEO. Additional information about the new members is available on the About GWT web page. The company also has been notified by its transfer agent that the previously announced return of shares to its treasury has now been completed and a new outline of the company's stock history is now posted on its web site. 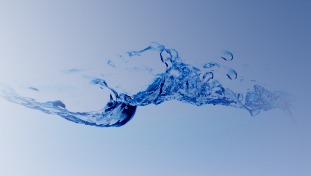 Global Water Technologies will attend the second Water Innovations Alliance conference in Chicago on September 27-29. Additional information is available on the company's web site at: www.gwtr.com. Global Water Technologies, Inc. (GWTR.PK) is a clean technology water treatment and services company providing innovative non-chemical and filtration technologies. Global Water seeks to develop and commercialize proprietary technologies to improve water efficiency.